Torque wedding bands are a unique category of bridal jewellery that is long-lasting and suitable for the people that do not want delicate accessories. The bridal jewellery is made with innovative, alternative hard metals to deliver toughness while ensuring a classic, unique look on the wearer. Designed by the reputed CrownRing brand, Torque wedding bands come in different designs to suit the unique needs of the customers. We offer customisation services to ensure that you get a wedding band that reflects your specific personal preference. The bold and powerful bands are hard enough to keep up with what you do during the day, without breaking. The boldness of Torque wedding bands combines with the vintage-inspired design to deliver a powerful accessory that is durable and stylish. Choose a wedding band or ring that reflects your bold personality and your love journey. Surprise your spouse by buying them an engagement ring or designer wedding band that complements their style. The rich collection of designs and customisation options mean that you can get something that aligns with your confident personality. Once you select a certain collection, you can request specific design and features to be added to your jewelry depending on what you want. The most popular Torque wedding band collections include cobalt, titanium, tungsten, black cobalt, and other precious metals. Each of the wedding band collections is loved for their unique designs. For example, the titanium collection has a brilliant appearance, without compromising on the boldness of the metal. The Cobalt and precious metals augment the luxurious look of the wedding jewellery and accessories. The metals are cut and arranged creatively to complete unique wedding bands that make you stand out from the crowd. 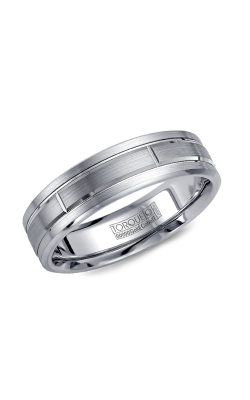 Why Shop for Torque Wedding Bands at Golden Tree Jewellers? Founded in 1980, the Golden Tree Jewelers has been stocking high-end bridal jewellery and other elegant accessories for over three decades. Visit us at in Langley, British Columbia in the Willowbrook Shopping Centre. We also serve customers in the neighbouring cities such as Surrey, Burnaby, and Vancouver, and beyond. Golden Tree Jewelers is owned and run by the Bhindi family, ensuring personalised customer service for optimum satisfaction. We have been voted as the “Best Jewellery Store” by the local customers for sixteen years in a row, reflecting our commitment to quality jewellery and superior customer service. For more information concerning our Torque wedding bands, jewellery services or working hours, visit GoldenTreeJewellers.com. You can also give us a call at (604)-530-7221 to learn more about our quality Torque wedding bands and other jewellery products.